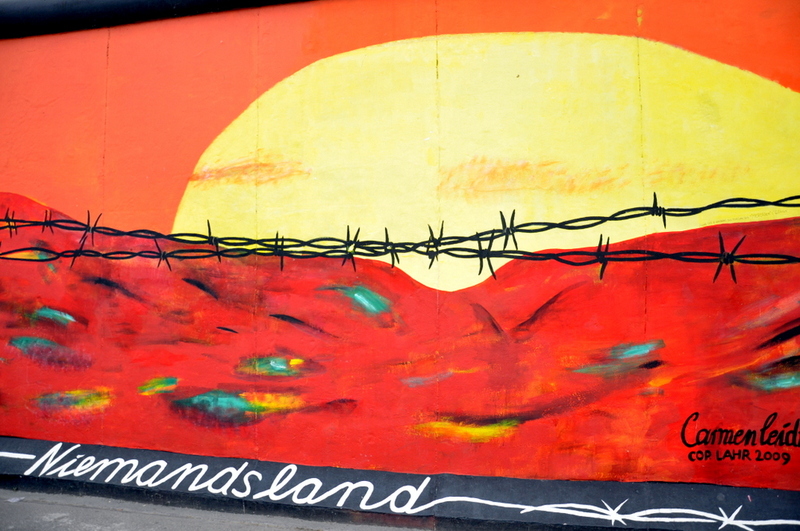 The East Side Gallery, not to be confused with the Far Side Gallery :), is a 1.3km long section of the Berlin Wall that was left intact as an international memorial for freedom. 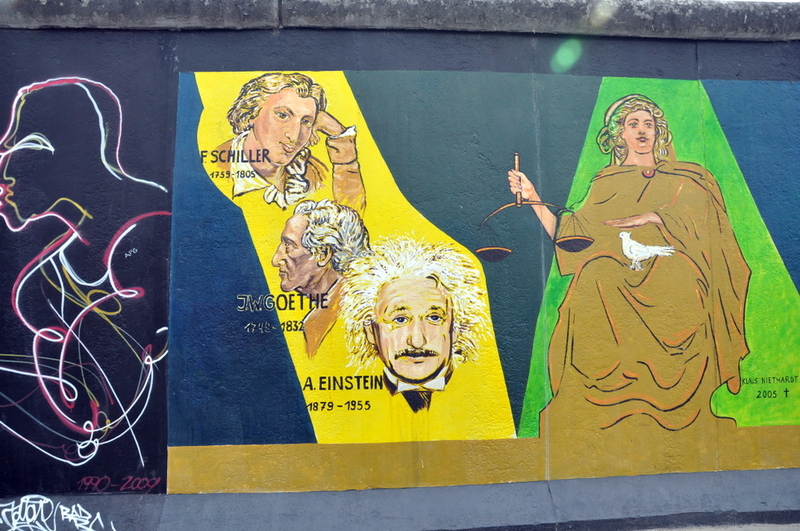 105 paintings by artists from all over the world were painted in 1990, shortly after the unification. Documenting a time of change and hope for a brighter future, it is possibly the largest and longest-lasting open air gallery in the world. 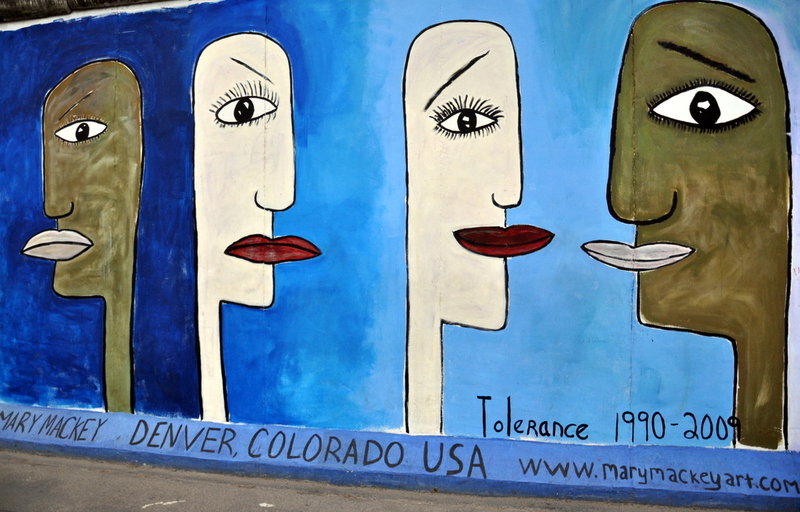 Naturally the Wall has never been linked to anything positive, except for the day it was torn down, and it felt pretty good to walk along it and decode the message of freedom and hope as shown through the murals. 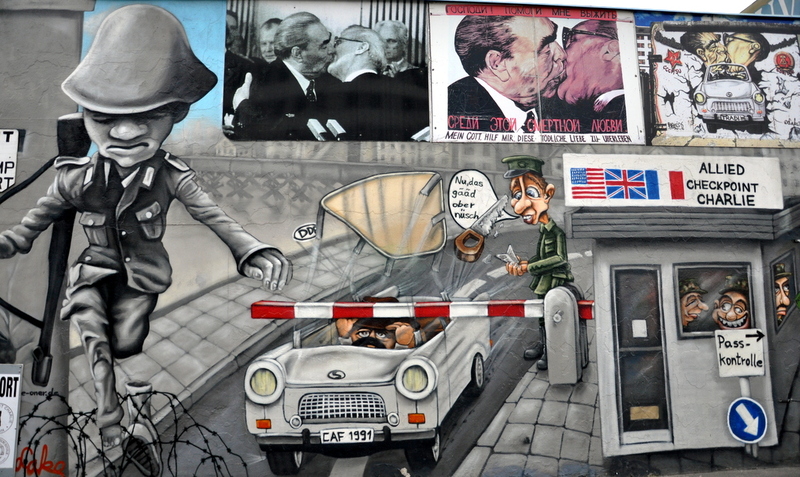 There are a few famous ones that you can see on shirts and posters long before ever getting to the East Side Gallery, the above Trabi painting is one of them, and the Fraternal Kiss between Brezhnev and Honecker is another. I’m pretty certain our kiss is not politically correct, but it was still a much smaller smooch than the one painted behind us. 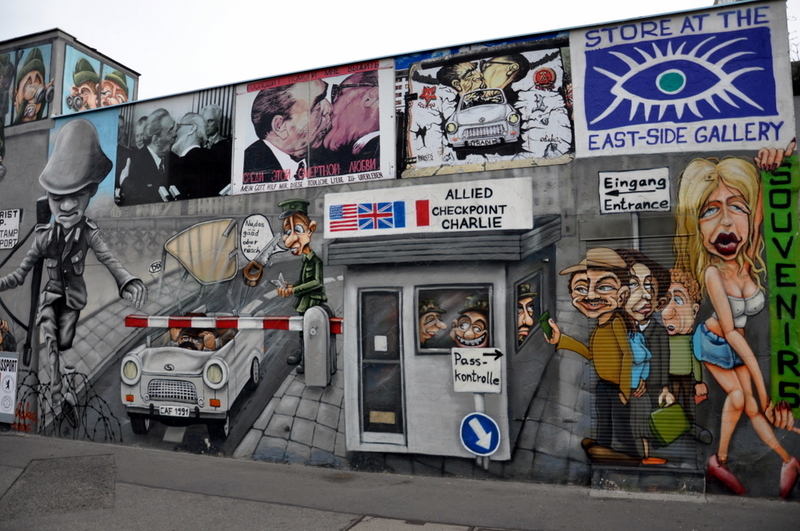 The East Side Gallery is easily accessible from both ends by metro and I highly recommend seeing it, though almost all of the murals have been restored and some have been updated quite a bit since 1990.
so cute and fun!!!! Fantastic pictures!!! Beautiful photos, stunning art. Thanks for sharing! Wow! That’s quite a gallery and one I’d love to see. Beautiful. I recognised this as soon as I saw it on the front page, Berlin is one of my most favourite places in the whole world 🙂 Thank you for sharing these amazing pictures- you’ve certainly brightened up my lunchtime and have made me crave to go back! I didn’t know any of the wall still stood! I got to see it in 1984, when it was still serving its purpose. Great photos! 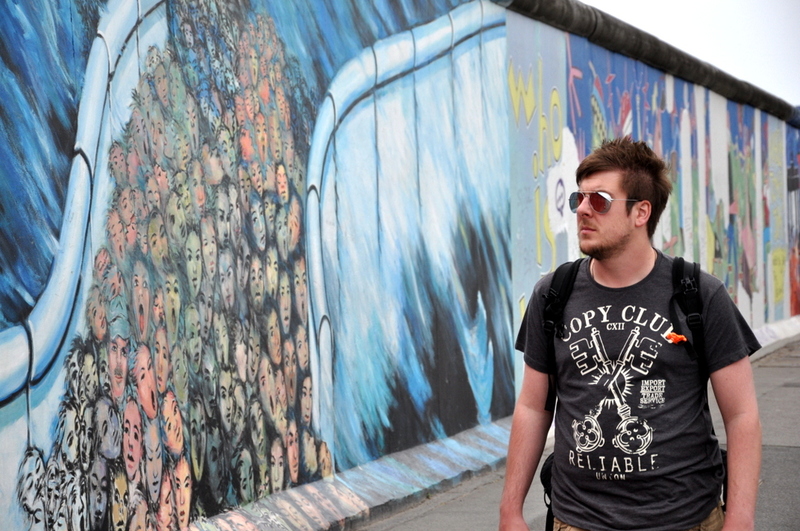 Gosh, I miss Berlin. I lived in Friedrichschain and Charlottenburg for 2 years, such an amazing, vibrant and creative city. Have fun! Nice pics! I don’t know if you remember, there was a painting of a forest – lot of green trees- right at the signal.. I had loved that one..
Nice snaps! I like to visit this place too. Such great murals. This is beautiful! I’ve never seen any of these. My sister is moving to Berlin this year, so I can’t wait to visit her and blog about it too 🙂 Thanks for sharing! I saw the wall in 1988 while stationed in Germany. It it a site that will be forever burned into my memory’s. Such an imposing structure with terrible and haunting stories surrounding it. Love the re-creation of the kiss! Very tongue-in-cheek…or rather, tongue-in — well, you get the idea. I really need to go to Berlin!! 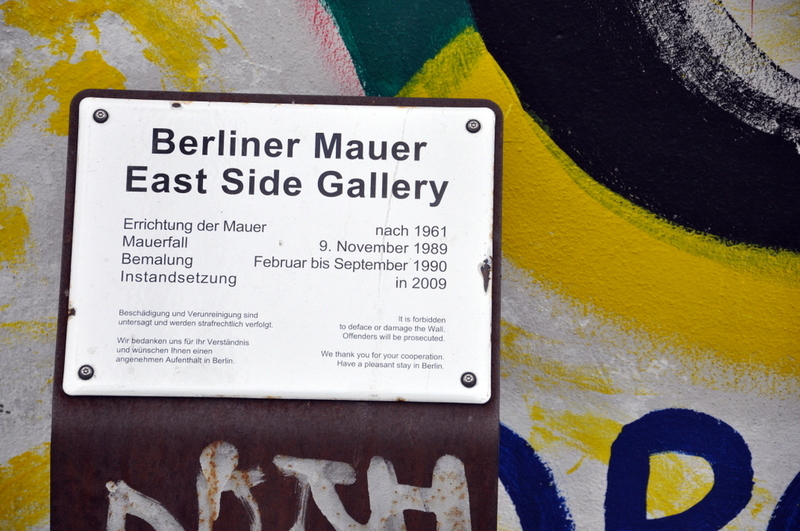 That is the first time I saw the Berlin wall gallery. Thanks for sharing. It’s important that people remember that part of the history. Great photos. 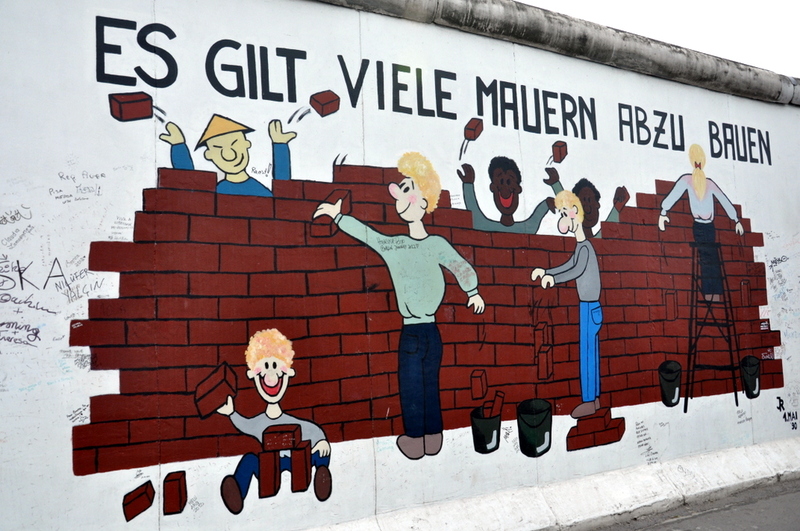 I haven’t been to Berlin since 1986, before the wall came down. Long time. Congrats on being freshly pressed. Interesting and quirky. Cheers for sharing. Thank You for posting the great pictures! Love your photos. Very funny. I was last at the wall in 1992 not long after the wall had come down. 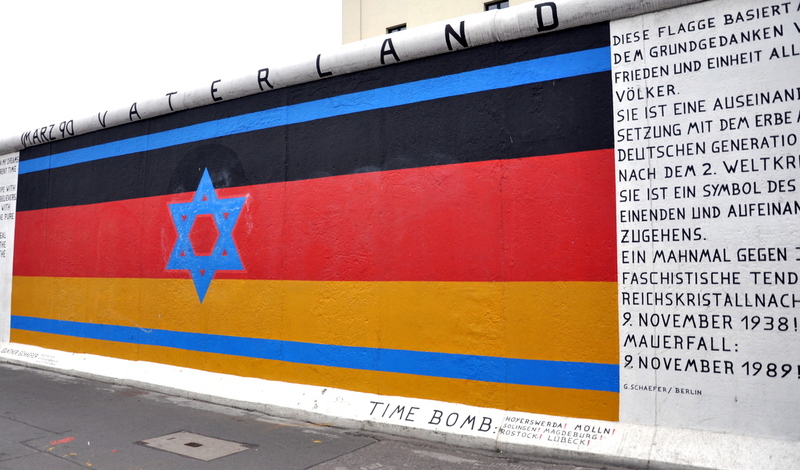 There was still a very strong divide between East and West Germany. People found it interesting because I was an Aussie not an Ossie. I also went to Leipzig and although the wall had come down, you couldn’t really say the place was post-communist at the time. The buildings were all covered in black grime and the cars and the fashions were all “retro”. I also remember meeting a guy there who asked me about Kylie Minogue. I mean of all the things for him to know about Australia! I might love Kylie now but there was a very strong cringe factor back then. Perfect attire for the beautiful weather. I love Berlin! 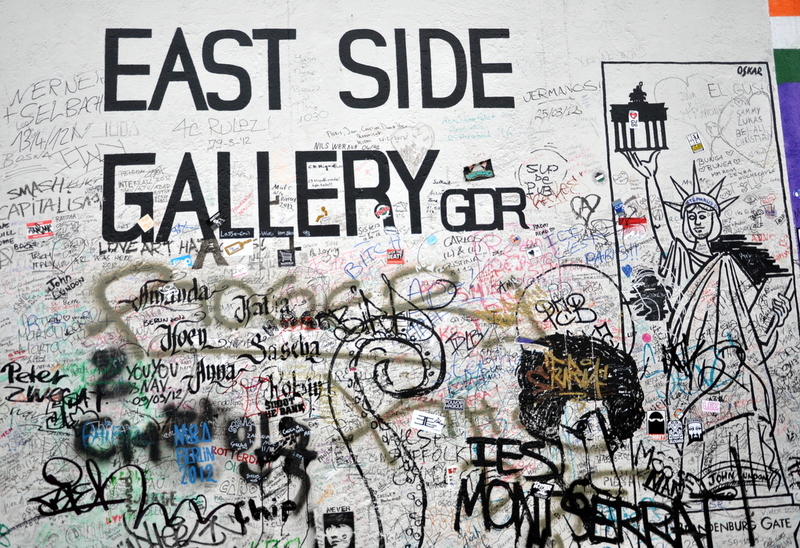 I’ve been there 3 months ago and the East Side Galary is one of the most amazing places. Great post, thanks! Amazing photos! looking forward for my European trip and added this to my list. Congrats being freshly pressed. Lovely graffiti photos, thanks for sharing these 🙂 have a wonderful day! The smoochie picture is the best. Amazing art; looks like you could spend days and days here, and I love art outside the gallery. Thanks for reminding me of the “Far Side Gallery” again! One of the best comic strips. 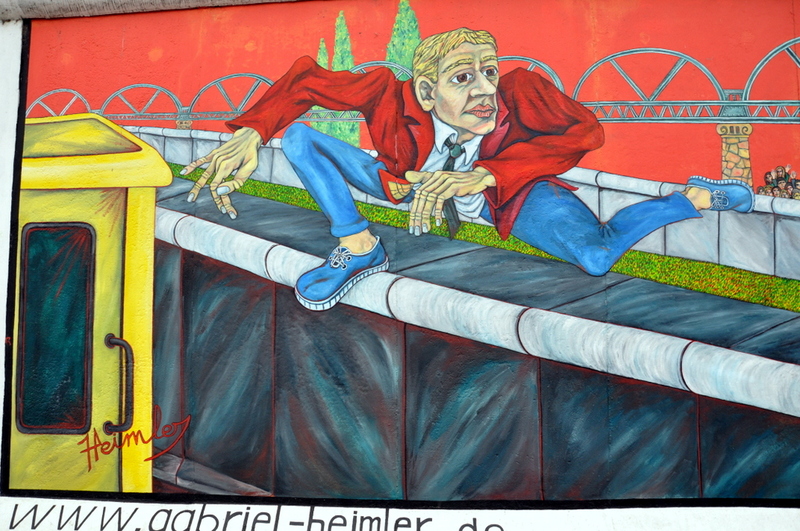 I love Berlin, a city full of life. Congratulation on your fotos. Looks like something I should put on my to-see list. No i tak blisko granicy z Polska! I just saw this the other weekend! 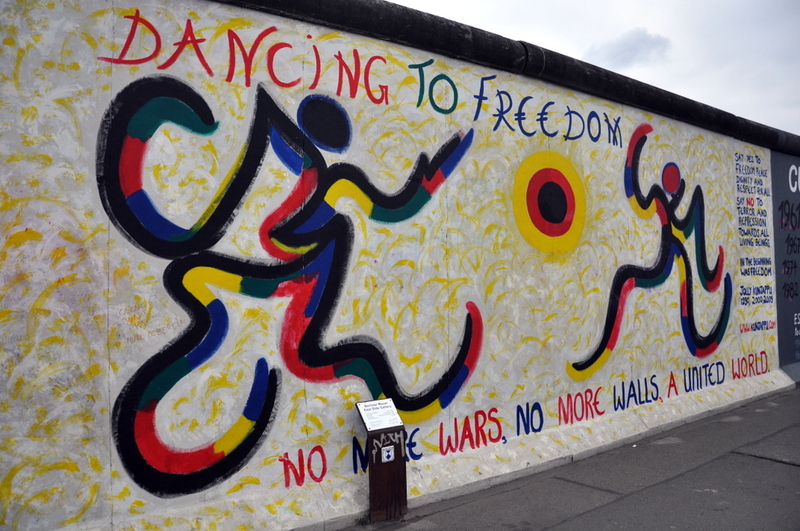 It was one of my favorite things in Berlin. Beautiful photos. Been there twice, it is great like much of Berlin. Very cool. Great photography as well! 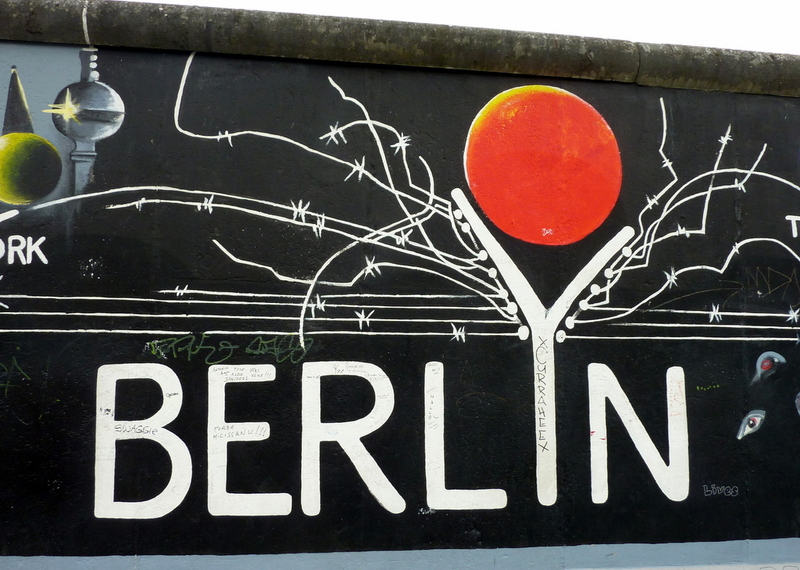 I’ve never been to Berlin, but I hope to visit it sometime soon. Looking forward to the next post! Very cool. Love the pictures. 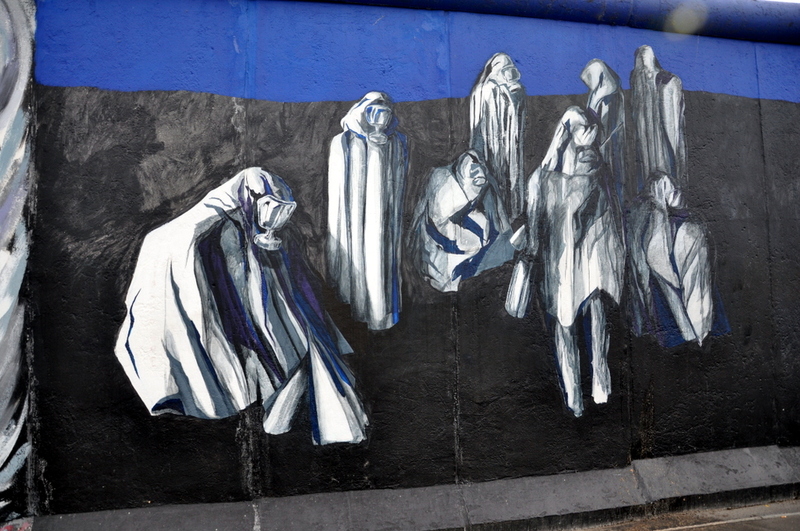 driving past the East Side Gallery almost every day. 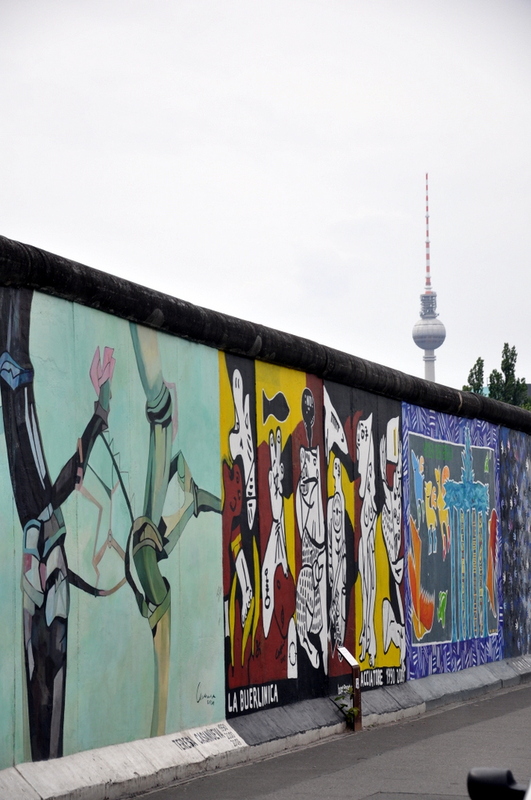 Berlin should be on everyone’s list of travel must-see’s.